SCHOOL HOLIDAYS ARE FAST APPROACHING! 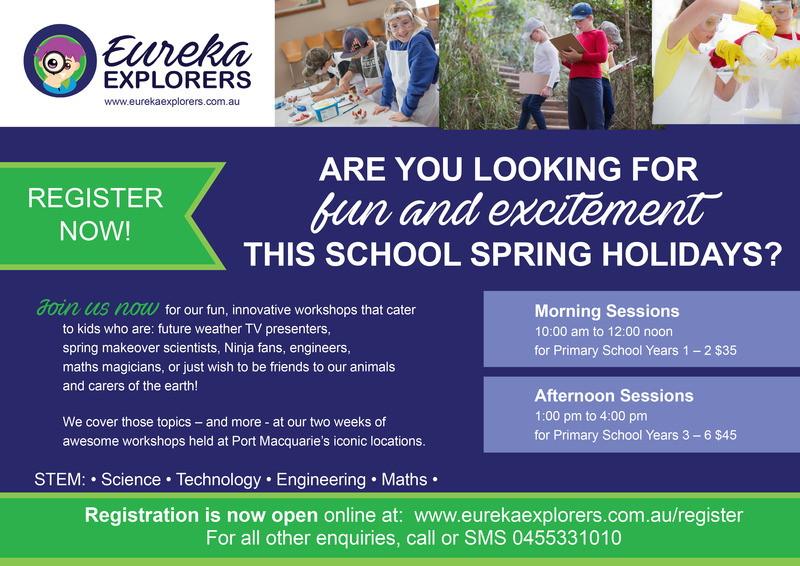 The SCHOOL HOLIDAY PROGRAM is back this April! 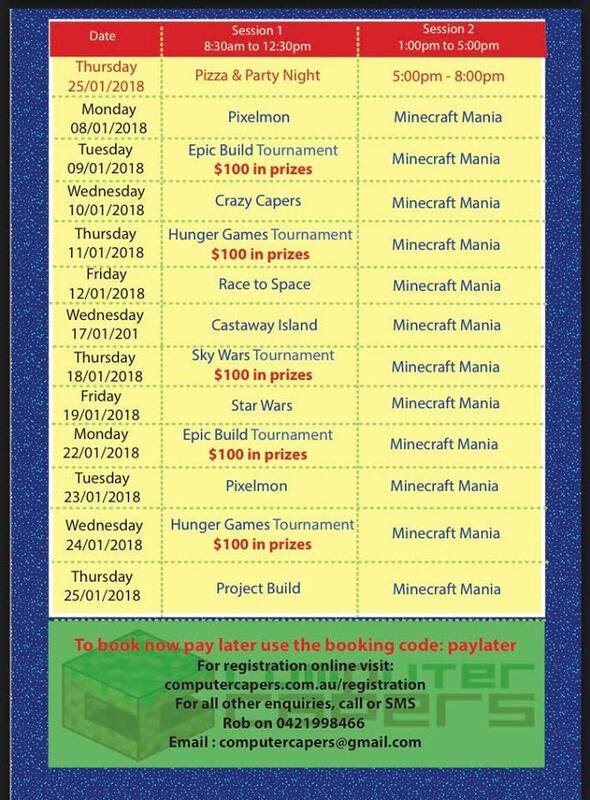 Need somewhere for your kids to spend the day? Want to get them active & looking to bust that holiday boredom? Get them out of the house and out of your hair! 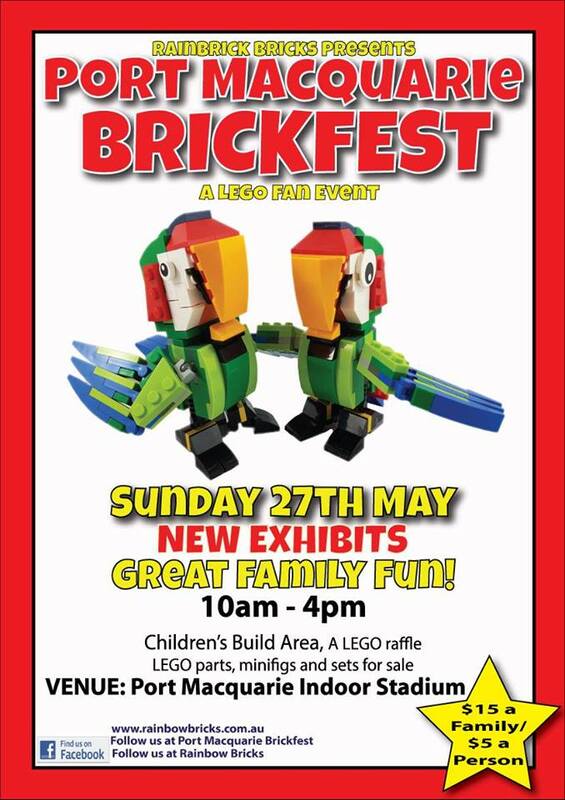 Bring your child along for a day of fun & games at Port Macquarie Indoor Stadium! Only $25.00 a day per child. Places are limited so book your child in to avoid disappointment. Click here for more info & an enrollment form. Enrol your children now: School Holiday Program for this April 2019. Come down and catch some of the action! Please Note: There is no casual shooting this weekend. We apologise for any inconvenience. 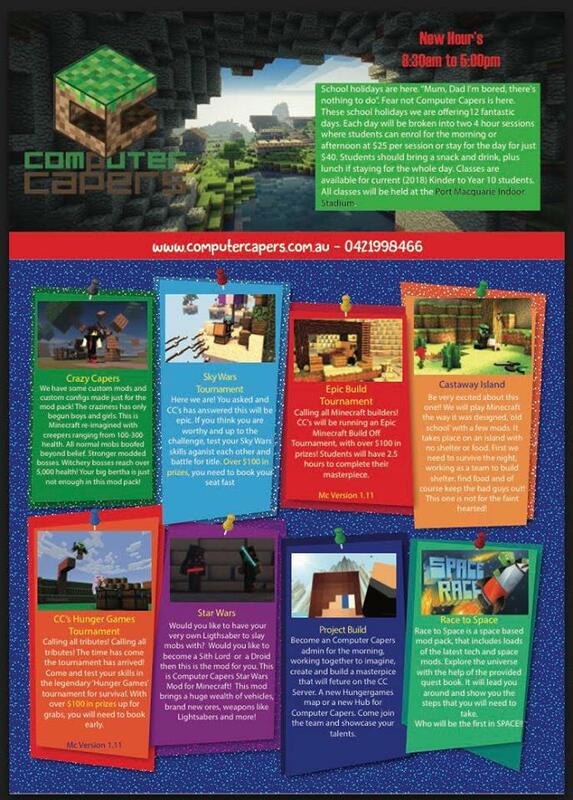 Computer Capers will be back on at the stadium these April school holidays. 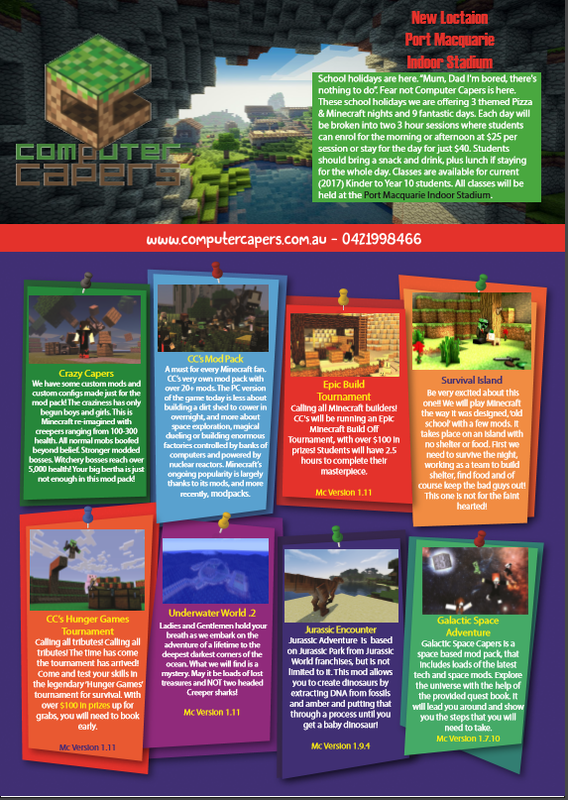 Click here for dates and more information! There is lots happening at the stadium in the next couple of weeks. Here are some dates to keep in mind. 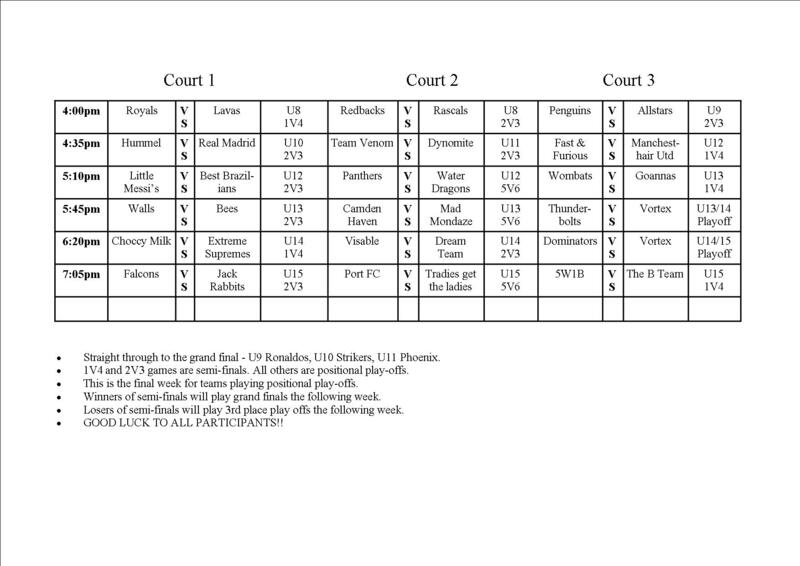 Two upcoming weekends of NJL. Please Note: Casual shooting will not be possible these weekends. Please Note: Casual shooting will not be possible this weekend. Click Here for more information and how to enroll your child. Please Note: Hours are subject to change. 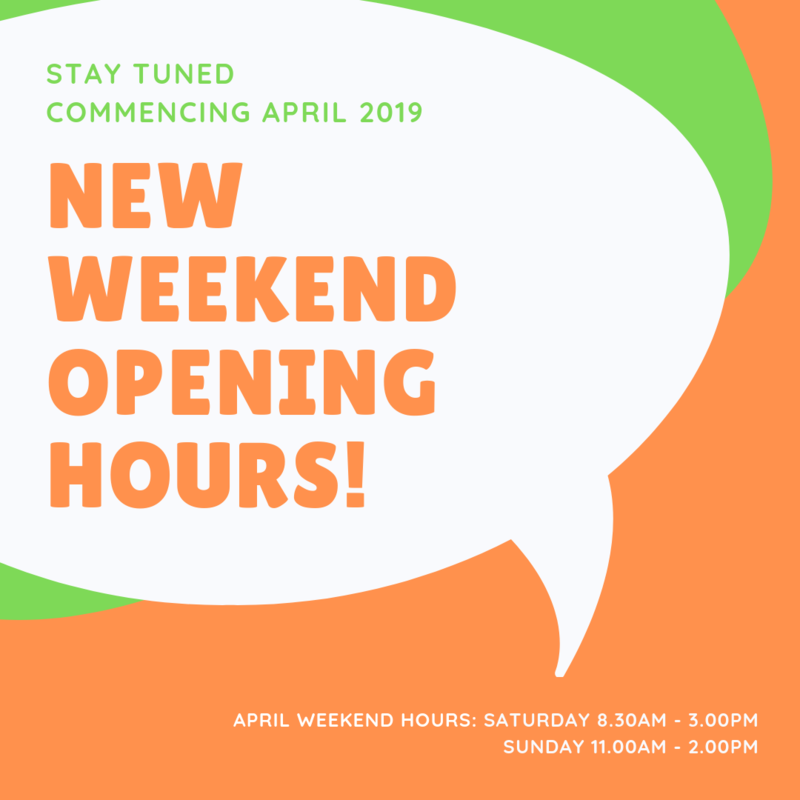 Keep and eye on our website and facebook page for altered opening hours as carnivals and other events can affect weekend bookings and casual use. State League Basketball is on this Saturday 16th March, 2019. Come and watch Port Macquarie Dolphins v Central Coast Crusaders. WHEN DOES MY SPORT START BACK? 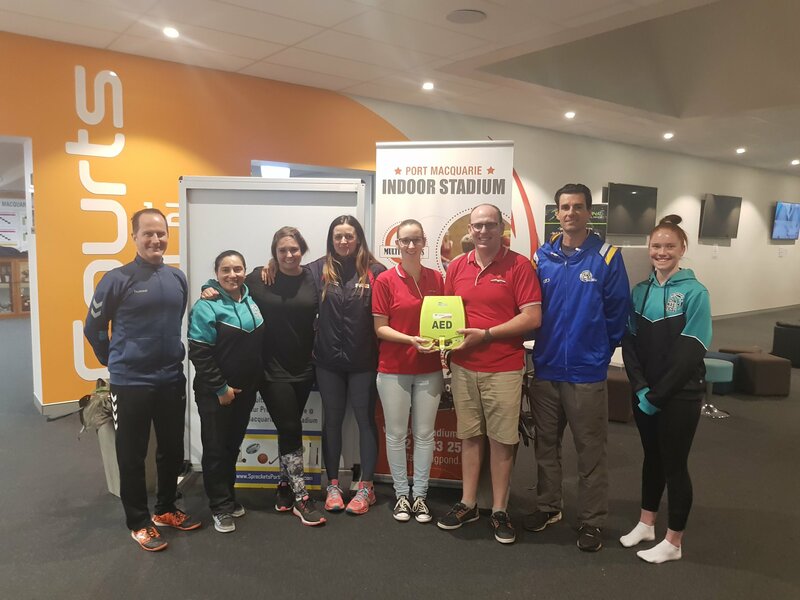 Student Heart Project delivered our AED on Wednesday Evening along with information and a training session to our staff on how to use the device in an emergency situation. 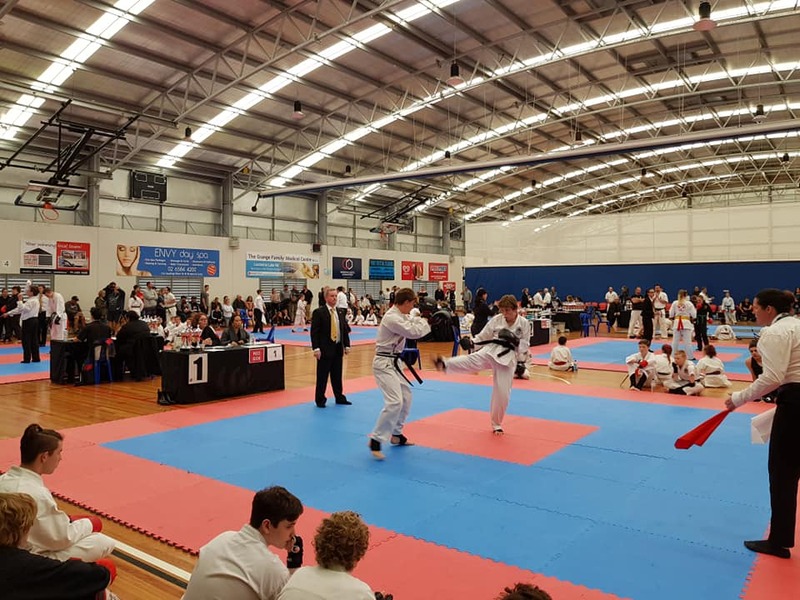 This week the NSW Champions of Champions is being held at the Port Macquarie Indoor Sports Stadium with the top schools from FNNSW competing to earn their place in the Australasian Championships in Nov 2018 & be crowned Champions. The top schools from School Title tournaments held throughout Term 2, now see schools from all regions including Taree - Tamworth - Armidale - Port Macquarie - Wauchope - Coffs - Grafton/Lismore - Byron Bay - Woodenbong, battling it out over the 4 days. 25th March 12NOON Port Macquarie V Newcastle. Starts back Tuesday 16th January 2018 at 5pm until 7.15pm. We will also be open to social shooting during this time, please pay your $3 at reception prior to entering the courts. 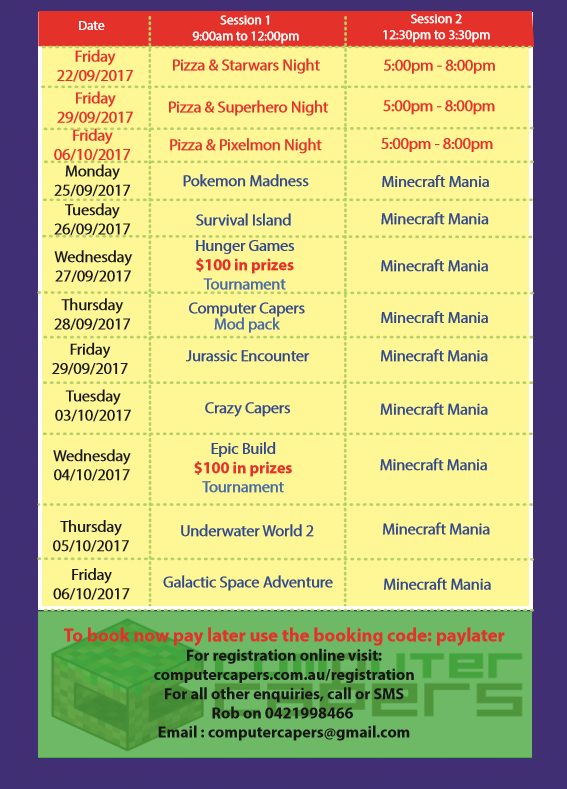 The school holiday activity days are designed for all children attending primary school (Kinder to Year 6) in 2017/18. 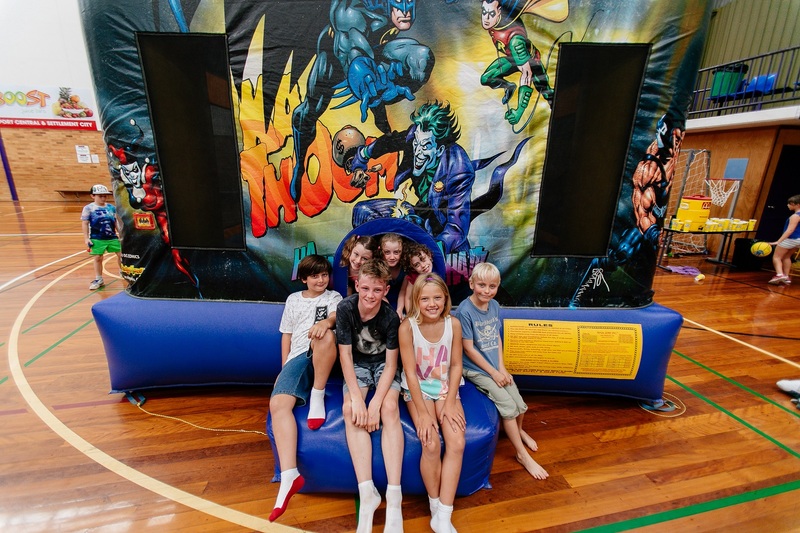 These days incorporate group and team sports along with colouring in & arts tables, jumping castles and a movie in a social and safe environment. Eueka Explorers at the Indoor Sports Stadium Monday 25th September. Starts Wednesday 18th October FOLLOW THE LINK for more information. Starts Monday 16th of October FOLLOW THE LINK for more information. Saturday 5th & Sunday 6th of August held at the Port Macquarie Indoor Sports Stadium. Commences Tuesday 25th of July 2017. The ASN Futsal Cup will be played at the Stadium from 25th - 26th March 10am - 5pm both days. Spectators more then welcome to come and watch. Café will be open! !